POLITICAL TIDBITS: Pacquiao made Pinoys forget even for a brief moment the galloping inflation, high prices and Duterte's rant vs.God as we celebrated his stunning victory vs.Argentine champ Matthysee. OPAPP's Dureza quotes "moral hazard" (coined by World Bank) of giving livelihood to warriors abandoning arms but seemingly neglecting those who live peaceful but economically challenged lives. Pacquiao made Pinoys forget even for a brief moment the galloping inflation, high prices and Duterte's rant vs.God as we celebrated his stunning victory vs.Argentine champ Matthysee. OPAPP's Dureza quotes "moral hazard" (coined by World Bank) of giving livelihood to warriors abandoning arms but seemingly neglecting those who live peaceful but economically challenged lives. Manny Pacquiao waits in corner for his opponent to rise, which he never did. Indeed the Filipino people were united for perhaps one and a half hours last Sunday noon, as our champ Manny Pacquiao challenged Argentine champ Lucas Matthysee for the WBA Welterweight World Title in the Axiata Arena in Kuala Lumpur, Malaysia---with no less than President Duterte and Malaysian Prime Minister Mahathir Mohamad watching from the galllery. Frankly, I was quite nervous as Pacquiao at 39 is four years older as well as three centimeters shorter in height than his opponent---in a sport where age and arm’s reach could spell disaster on the short end. But Manny stuck to the legend he has created, with 20 more wins than the Argentinian, even though our hometown boy had 7 losses vs. Matthysee’s four. As the boxing fight raged, I was speeding to Wack Wack Subdivision in Greenhills to attend the 87thbirthday celebration of my longtime friend Teresa V. Daza, and I knew that my driver, Rod, was watching the fight from the car TV even as we drove. That he could bump someone else’s vehicle and we’d get into a fight worried me, but I couldn’t find the heart to stop him from watching intermittently, as I knew how much Pinoys had yearned for such a match---after the long disappearance of our champ from the ring. After the luncheon for Tessie Daza I visited my ailing brother Danny Olivares in Marikina and this time I got to watch the replay---how Pacquiao’s lightning jab finally sent Matthysee half-kneeling on the floor----the third in the 7th round, though not quite a knock out. 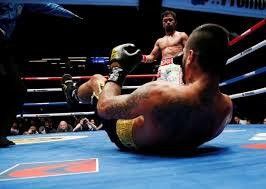 That punch by Pacquiao, though, was enough to TKO the Argentinian. I have never been a boxing fan as I find this sport too brutal for my sensibilities, but I can understand why the Inquirer would banner that “Pacquiao victory unites nation anew.” Superficially, I agree. For one bright shining moment, in practically every home across the archipelago, Filipinos forgot their own wrestling with galloping inflation, high prices, maddening traffic in the metropolis, brutal killings of priests and drug addicts and many more, as they waited with bated breath for that one right-left punch that would cut short the Argentinian’s reign as welterweight king. Just as interesting as the boxing fight between Pacquiao and Matthysee, though, was President Duterte’s advice to Manny Pacquiao after that splendid victory. Along with Manny’s friends, the presidential wish is that the champ would retire to enjoy life and “rest on his laurels,” adding that he has already so much money, no problem.” Manny retiring? That looks like one for the books for one who has managed to win unprecedentedly in no less than eight different weight divisions. At age 39---he'll be 40 in December--- he's raring to take on anyone in the boxing world. But I agree with Mr. Duterte: Manny should quit while he's ahead and enjoy life: have fun with his family, smell the flowers and look at the blue sky more often. After all, he is already one of the greatest boxers of all time---a legend unto himself with his 39 KOs in his 23-year boxing career. With his earnings from his spectacular boxing career that have run into billions of pesos, Manny could also make history by putting up a foundation that addresses the primary needs of his countrymen, e.g., providing education to the poorest of the poor, so that these citizens could be more productive and reduce the appalling poverty and unemployment levels. But no, he's quoted tonight as wanting to take on Floyd Mayweather once again! His body may be that of a nearly 40-year old guy, but the spirit is that of a boxing ingenue who seem never to have tasted defeat..
My radio partner, Cecile Guidote Alvarez, and I had a most productive interview with the Office of the Presidential Adviser on the Peace Process (OPAPP) Chief Jesus “Jess” Dureza, aired last Sunday at 6pm. on "Radyo Balintataw" over nationwide dzRH. Jess Dureza is a friend from way back and I hold that he is ideal to head OPAPP as he is naturally simpatico and approachable---not the abrasive and antagonistic type of public official. We all long for peace in our country, so that precious resources currently devoted to killing fellow Filipinos could instead lift them up from the poverty of centuries. The NPAs thrive on existing poverty and hopelessness to spread their gospel of violence, but as Secretary Dureza pointed out in our program, the dissidents "should help us win goodwill for them---because to integrate them into society would need a law to be passed." Stressing the importance of continuing cultural discussion and mediation, Peace Adviser Dureza noted that there are leftists who started as ideologues but who are now happily desirous of peaceful integration into society. He stressed, however, that even if a ceasefire could be maintained on the collection of revolutionary tax, there are still those who would resort to this method, such as the 'violent extremists' "out of step with those desirous of peace." "The work for Peace is the work of a lifetime, and should be undertaken by all Filipinos who love their country," the OPAPP Chief stressed, adding that "you cannot have peace if you don't have it in your heart." In this I agree. Dureza also admitted that society really has to address anger and the angst in the hearts of some Filipinos. For instance, he recalled that his grandfather was beheaded by the Japanese and it took him a while to appease his anger over this horrible incident in his own heart. My radio partner, RM Awardee for Theater Cecile Alvarez, also recalled that her own grandfather suffered the same fate, but that she lost her anger over the tragic episode once she started getting to know the Japanese students studying drama in the famed La Mama Theater in the US, where she enrolled in the Alvarezes' exile years in the US. At our dzRH program, Secretary Dureza spoke about the twin paradigm of Peace and Development, and prevailing complaints about lack of livelihood in certain areas, such as Sulu. He admitted that while giving livelihood to former dissident warriors could upset those who have remained peaceful, this is what the World Bank had coined as the "moral hazard." He also referred to the "peace lens" that's community-based and inclusive. 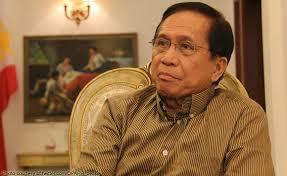 Dureza stressed that President Duterte is committed to bringing about peace in the country. He also cited how the Chief Executive would often talk with some jest about how his mother Soledad, a known disciplinarian, would make her young son Rodrigo face the wall as punishment when he was naughty. That early, the President would tell his officials, "I was already united to Jesus." Did Secretary Dureza narrate this episode in Duterte's early years by way of negating the effect of the latter's controversial pronouncement about God being "stupid" some weeks back?